Summary: Sometimes we cannot believe our own eyes. 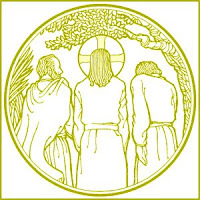 Men who’d followed Jesus didn’t know Him when they met Him on the road to Emmaus. Yet in the power of the Word and, particularly, in the breaking of the bread, the Lord revealed Himself to them as their risen Savior. He still reveals Himself to us in the proclamation of the Gospel and in the breaking of the bread in Holy Communion, promising that we, too, will receive His gifts of forgiveness, life, and salvation. 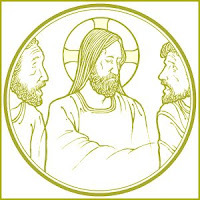 Text: That very day two of them were going to a village named Emmaus, about seven miles from Jerusalem, and they were talking with each other about all these things that had happened. While they were talking and discussing together, Jesus himself drew near and went with them. But their eyes were kept from recognizing him. Audio: Click to hear MP3 of In the Breaking of the Bread, preached at St. Matthew Lutheran Church, Ernestville, Missouri.